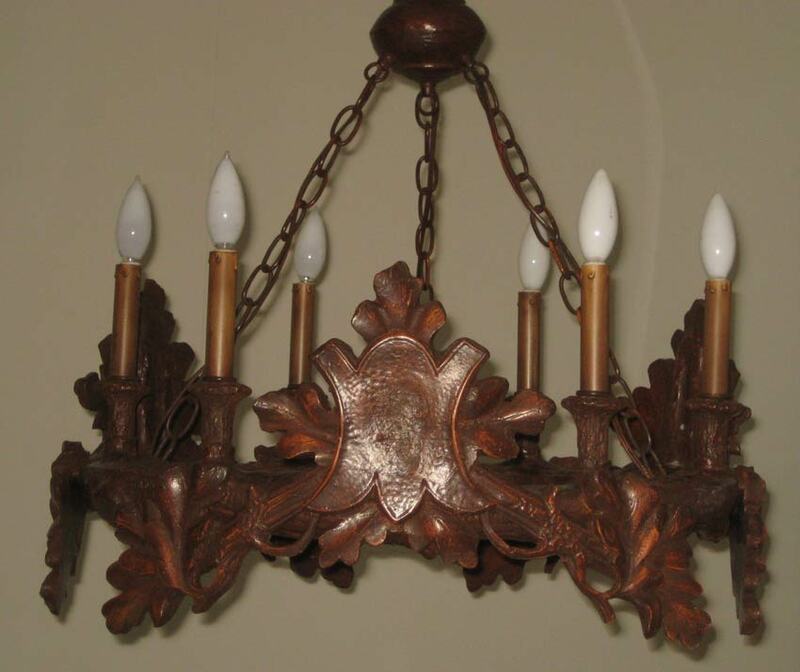 Description: Black Forrest Chandelier. Oak Leaf. Also, 28", 33", 44", 2 tier for: $2025, $2550, $3600, $4800.Resin steel 60 watt bulb. Shades extra. Size: 24" wide, also 28",33",44"